This soup is a wonderful dish to showcase oyster mushrooms. 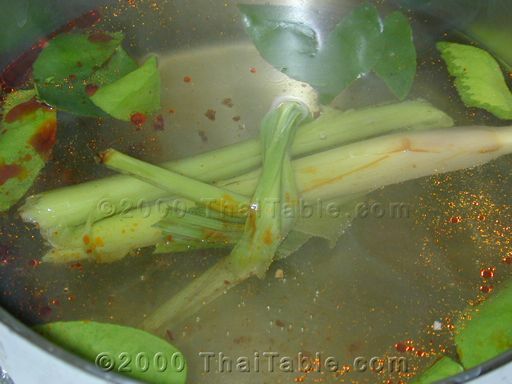 The soup is hot and sour with lemon grass aroma. 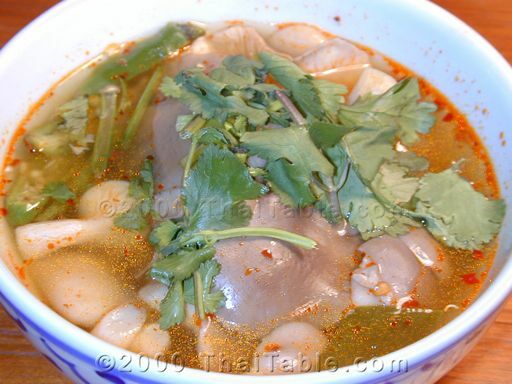 For a vegetarian soup, substitute mushroom soy sauce for fish sauce. Use vegetarian nam prig pow or chili oil. You can substitute other mushrooms for oyster mushrooms. 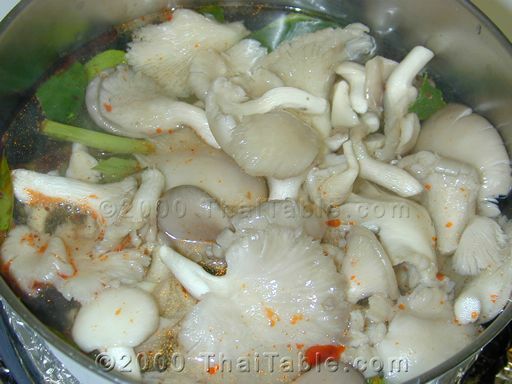 Or you can add a mixture of mushrooms. I would recommend mild flavor mushroom for this dish so that the mushrooms don't over power the spices. You only need to have boiled the lemon grass for a couple minutes to bring out the flavor. Wash the mushrooms and set them aside. Crush the lemon grass with the back of your knife or a meat tenderizer. 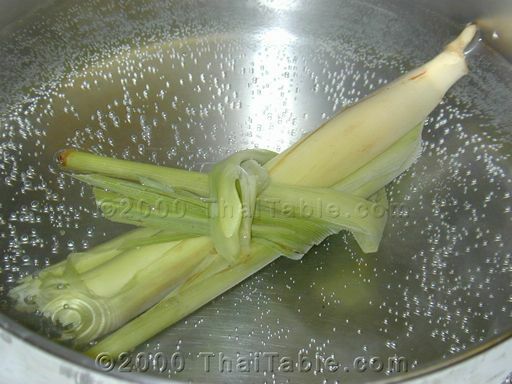 Tie the lemon grass into a knot and drop it into a pot of water. 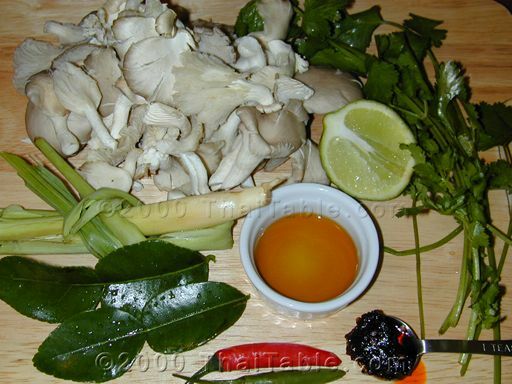 Bring the lemon grass broth to a boil then add the oyster mushrooms. Pull the kaffir lime leaves from their middle stems and drop them in the pot. Add nam prig pow, if you like. Turn off the heat. Crush chili peppers and place them in a serving bowl. If you don't like it hot, do not crush the chili peppers. Add fish sauce and 2/3 of the lime to the bowl. Pour the soup in the bowl. Taste and see if you might want to add more lime or more fish sauce. I love mine very spicy and sour. This means that I need to add a teaspoon of fish sauce and more lime, so that I can taste all the flavors. Add the chili paste.